The company that produces the most-American vehicles is, well, Japanese. But it may matter to you soon if you’re considering purchasing a new car. The Honda Ridgeline is mostly American. Thirty-three of the top 50 vehicles based on percentage of U.S. and Canadian final assembly are Honda Motor Company products, with 23 assembled in the U.S., according to the 2018 American Automobile Labeling Act Report from the National Highway Transportation Safety Administration (NHTSA). Those top 50 all contain at least 60 percent American parts and three Hondas – the Odyssey minivan, and two versions of the Ridgeline pickup – comprise 75 percent U.S./Canadian content. 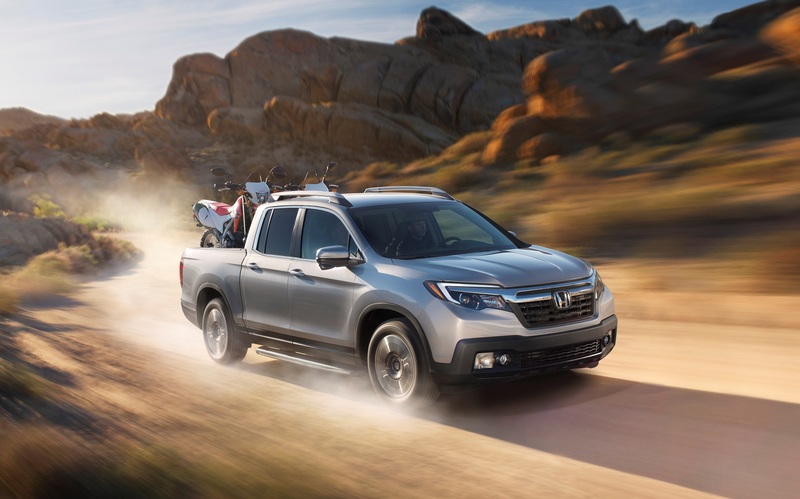 In fact, the top 11 vehicles made with U.S./Canadian content are all products of Honda Motor Company, which ranks fifth in sales in the U.S. market, based on data from The Wall Street Journal. This could be important because of prospective tariffs – and the amount U.S. consumers pay for new vehicles – on mostly foreign-manufactured vehicles that would affect between 46 and 125 models depending on the percentage of American parts, reports the Center for Automotive Research (CAR). In a briefing on possible tariffs, CAR estimated between $470 and $2,200 would be added to vehicle costs. Possible changes in the regional trade agreement, NAFTA, could require vehicles to be made of 65 to 75 percent parts from America (U.S., Canada, Mexico) within three years. * Acura is Honda’s premium nameplate. The other three Hondas, all Civic compact models, are manufactured in Canada, two with transmissions from Mexico and India. Honda’s U.S. facilities include East Liberty, OH; Greensburg, IN; Lincoln, AL, and Marysville, OH. The highest-ranked models by U.S.-based manufacturers, and proportion of American parts they contain, are Chevrolet Corvette (67 percent), Chevrolet Volt compact car (66 percent), Ford F-150 pickup (65 percent) and Ford Motor’s Lincoln Continental luxury sedan (65 percent). The Mercedes-Benz C-Class sedan, which is assembled in the U.S., is the highest-ranked non-Honda with 70 percent American-made parts, although the transmission is made in Germany. The highest-ranked Toyotas are the Avalon sedan and the Tundra pickup, both 65 percent, which are assembled in the U.S., although the Tundra’s transmission comes from Japan. NHTSA reports 102 models with at least 50 percent U.S./Canadian parts. The NHTSA report, which comprises about 700 models, includes model ranks by the percentage of content from the U.S. and Canada, final assembly countries and sources of vehicle engines and transmissions.